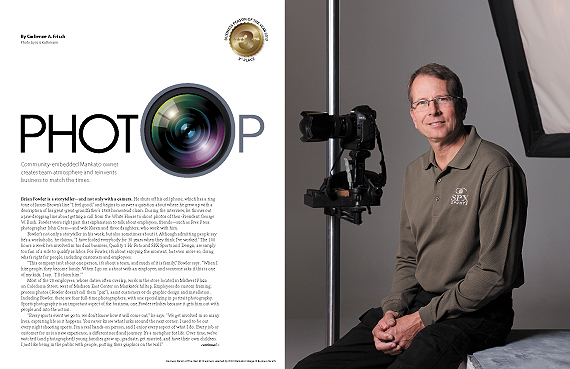 Brian Fowler is a storyteller—and not only with a camera. He shuts off his cell phone, which has a ring tone of James Brown’s line “I feel good,” and begins to answer a question about where he grew up with a description of his great-great-grandfather’s 1868 homestead claim. During the interview, he throws out a jaw-dropping line about getting a call from the White House to shoot photos of then-President George W. Bush. Fowler veers right past that explanation to talk about employees, friends—such as Free Press photographer John Cross—and wife Karen and three daughters, who work with him. 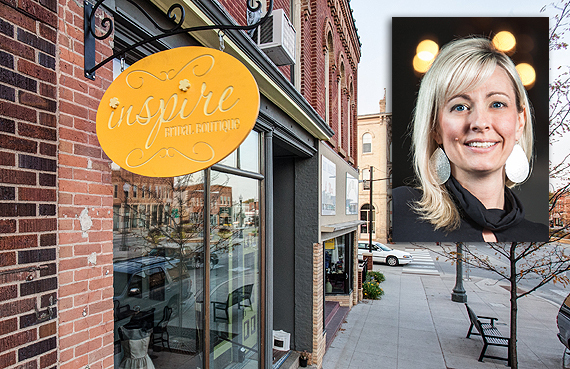 Within the last year, Julie Larson began Inspire Bridal Boutique at 204 South Minnesota after finding the perfect building on high-traffic US 169, falling in love with St. Peter’s artsy atmosphere, and getting help from Russ Wille of the local EDA, she said. In addition, St. Peter needed a bridal shop and Larson could get her sewing needs done across the street at newly opened Sew Boutique. 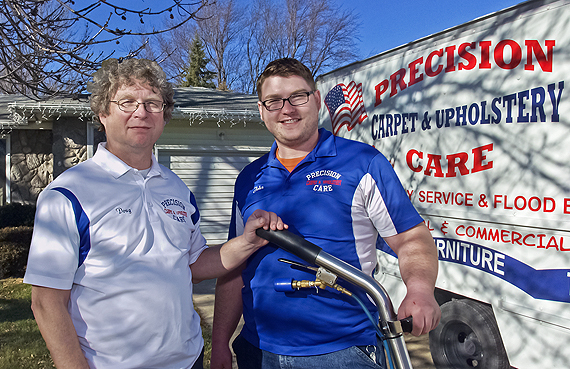 John Elbert’s grandparents owned an eye clinic, his father a transmission business, his uncle a law practice, and now Elbert (right, in photo) has started Precision Carpet & Upholstery at 310 North State. His family hails from Dunnell, which is about as far west as anyone can go in Martin County without being in Jackson County. 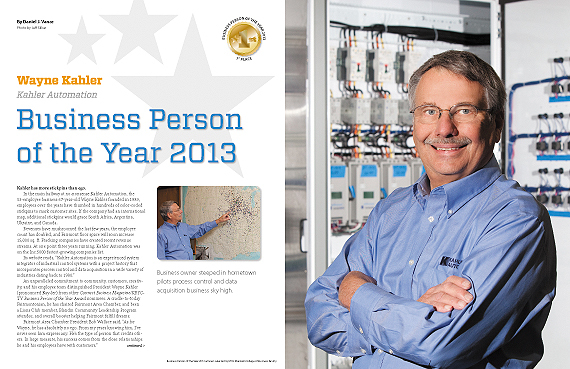 The drawn out moniker of “Connect Business Magazine/KEYC-TV Business Person of the Year” won’t fit on the back of your bowling shirt, but does quite nicely framed and hanging in the company foyer for clients and potential employees to oo and ah. General Growth Properties began building River Hills Mall more than 20 years ago. 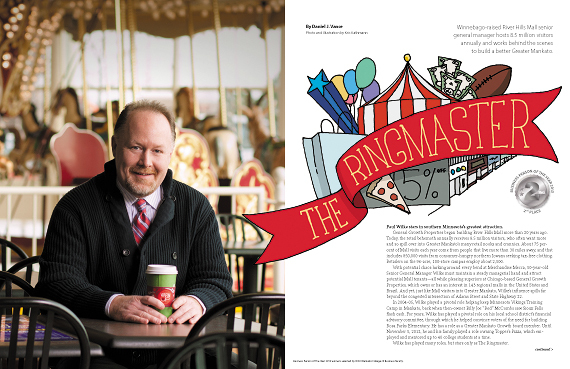 Today, the retail behemoth annually receives 8.5 million visitors, who often want more and so spill over into Greater Mankato’s many retail nooks and crannies. About 75 percent of Mall visits each year come from people that live more than 30 miles away, and that includes 850,000 visits from consumer-hungry northern Iowans seeking tax-free clothing. Said 35-year-old Heather Hacker Hammer in a telephone interview, “My parents own Hacker’s Tree Farm Nursery and Greenhouse. 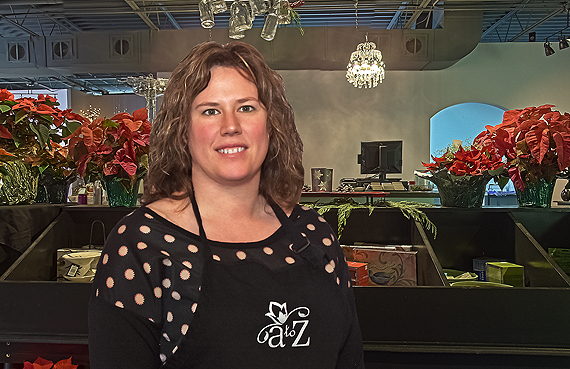 I began working at the business at 12, and grew up in a family of entrepreneurs. My brothers own Hacker Construction. In the spring, at age 12, I would be planting, watering, and weeding. In the summer, we had a landscape business.